Another go at my favorite type of Space Marines: The Death Company marines. On this model I tried to take the black in a new direction going for more surfaces of solid black with sharper highlights. 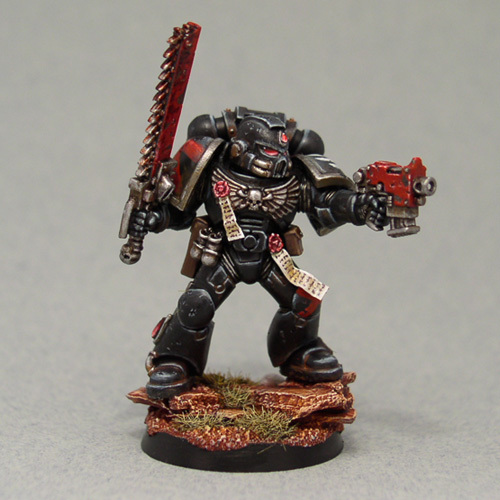 My other variations of this marine type are another DC Space Marine almost the same pose and my =I= scale DC Veteran.